Name: 2019 June CFO: Business Driven. People Focused. Please remember that Norris Conference Center does have a parking garage for your use. 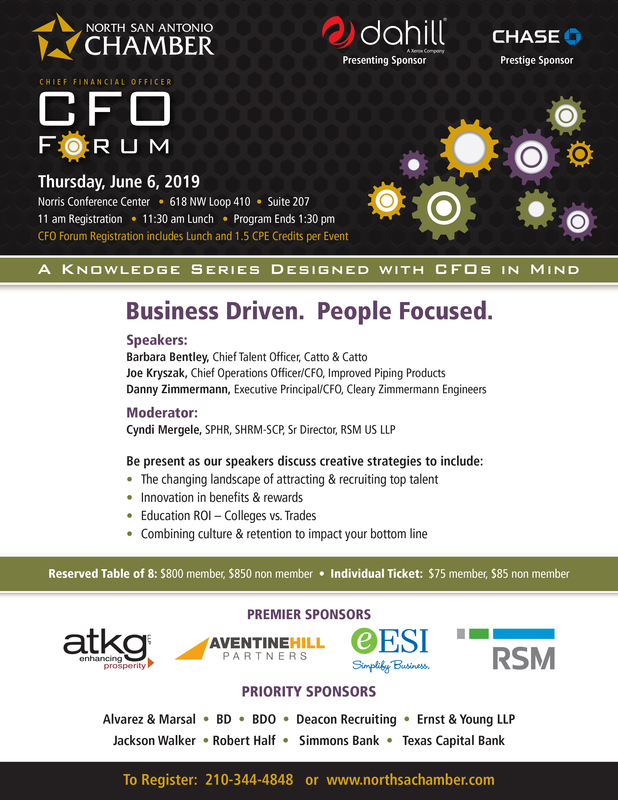 For over fifteen years, the North SA Chamber has been proud to present (3) annual CFO Forum events, San Antonio's premier luncheon program designed to inform attendees about accounting and financial best practices, relevant issues and industry trends. Our history of excellence attracts distinguished speakers, cultivates a consistent following of returning guests and has become the trademark for this knowledge series designed exclusively for CFOs.